1) In this paper FIG President Chryssy Potsiou unveils her ideas for the FIG action plan, which includes a close cooperation among FIG in order to better prepare tomorrow’s surveyors today to enable them performing in a sustainable way and within the framework of the FIG vision. She also presents a summary of literature research and brainstorming input accumulated mainly from the FIG kick-off seminar and the FIG side event during the World Bank Conference on Land and Poverty. This paper presents a summary of literature research and the brainstorming input accumulated mainly from the FIG kick-off seminar and the FIG side event during the World Bank Conference on Land and Poverty, both organized in the first quarter of 2015. Based on the FIG overall theme “Ensuring the Rapid Response to Change, Ensuring the Surveyor of Tomorrow” the paper aims to provide inspiration to surveyors to address the global challenges and to structure the way ahead. A brief overview of the global trends in the changing economies and markets, the changing societal needs and the changing technology together with an emphasis of the importance of timing in the surveyors’ response to change is given. Proposals for FIG action plan, and for a close cooperation among FIG, the regional associations and the national associations in order to better prepare tomorrow’s surveyors today to enable them performing in a sustainable way and within the framework of FIG vision are included. The contribution of all international and local experts to both FIG brainstorming events is highly appreciated and acknowledged. The International Federation of Surveyors (FIG) supports international collaboration among its members (member associations, affiliates, corporate and academic members) for the progress of surveying in all its fields and applications. Through dedicated leadership and the long and systematic work of its members, FIG has established a close cooperation with the United Nation relevant bodies, the World Bank and its sister associations and has been globally recognized as the leading international non-governmental organization on “geospatial information” and the management of “land”, the “sea” and the “built” environment. It is within the surveyors’ task to determine the size and shape of the earth, to map its surface and to manage it in a sustainable way. For the 2015-2018 time period the overall theme is: “Ensuring the Rapid Response to Change, Ensuring the Surveyor of Tomorrow”. Through the years almost every incoming administration of FIG has acknowledged “change” as a reality of our world; in 1938 we talked about “the role of the surveyor in the social order of today”, in the 60s we were concerned about “modern technology”, in the 70s about the “Space Age”, in the 90s about the “information society” and “globalization” and in the more recent years we are talking about “shaping the change”, “facing the challenges” and “engaging the challenges” and now we realize that we simply cannot shape the change but we need to respond intelligently and moreover we need to prepare the surveyor of tomorrow, as change happens too rapidly (Foster, 2015). The past, all the years of valuable and successful contributions of the surveying profession to the sustainable development of the world since the ancient times, is a mirror of the road ahead; however, the current global challenges seem to be pressing and time is no longer on our side, therefore we need sustainable, reliable, low-cost and fast solutions (Teo, 2015). Change is inevitable; as professionals we cannot manage change, we can only manage the way we respond to change (Retsinas, 2015). What we traditionally do, as professionals, is to seek the relevance of our profession and to improve our efficiency to respond to change. Since the steel tape, the logarithms, the theodolite, the introduction of triangulation and the least squares adjustment theory, the cadastral maps, the revolution of photogrammetry, the electronic distance measurement, the use of telurometer up to the satellite images and the GNSS revolution, the GIS and the management of spatial information, the UAVs and the mobile devices, and our leading role in modern cadastres and marine information systems, our increased involvement in land governance, especially in land administration, the management of land and the sea, land and property valuation and quantity surveying, FIG and “the surveying profession” has continuously changed aiming to better serve a spatially enabled society. Now the changes we face are more than technological; they are global and they are happening quickly. changing technology that challenges us to maintain our proficiency (Potsiou, 2014). Today we have reached the stage where there is an increased UN and WB recognition of how reliable geospatial information helps governments and citizens to underpin decision making; Location intelligence is underpinning our daily lives; being “geospatial” is a global “transformation” (Lawrence, 2015). Google and Microsoft have served as catalysts for making geomatics techniques familiar to a wide audience. the interconnectivity in all areas of our economies, cultures, governmental operations and private lives and the need for harmonization, compatibility and security of procedures. This paper is an attempt to mainly summarize the brainstorming input from the FIG kick-off seminar in January 2015 and the FIG side event in the World Bank Conference 2015, and to give inspiration to surveyors to structure the way ahead. 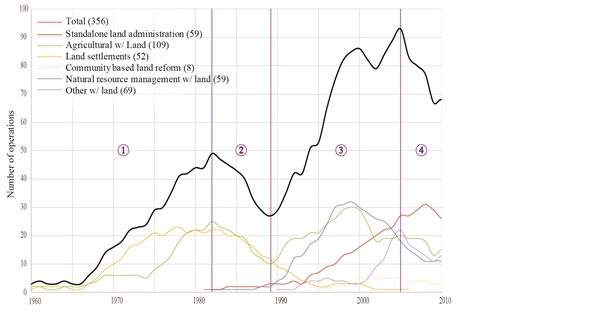 Because of the economic changes in the late 1980s to early 1990s there has been a major reform in the administration and management of the land. Effective and efficient land and property markets are broadly considered to be a crucial component of a successful market economy. The empowerment of private property rights is the most fundamental element of a market economy, and therefore implementation of these rights is the key indicator of the transition process in the countries changing from centrally planned economies to market economies. The registration of property rights has, among other things, two main objectives: to provide secure ownership to land and real property, and to support the operations of the property market (Dale, 2005). The World Bank has been financing land tenure projects for more than half a century. Over these five decades, the Bank has allocated more than US$3.1 billion to 92 standalone land tenure projects in 53 countries; the Bank has also financed at least 242 projects with significant land tenure components. Of these 334 operations, 47 are still active. These projects were mostly implemented in Latin America and Caribbean (LAC), East Asia and Pacific (EAP) and Europe and Central Asia (ECA), but also in Africa, South Asia (SA) and, to a lesser extent, Middle East and North Africa (MENA). During the 1990s, due to the increased recognition of importance of secure tenure rights for land markets, the Bank started implementing standalone land administration projects in ECA, Latin America and EAP that in total refer to an over US$ 2.2 billion commitment. At present, the Bank has committed more than US$800 million in standalone land tenure operations and more than US$1 billion in operations with land tenure components/activities (Bourguignon et al., 2015) as land tenure issues are again vital for issues such as governance transparency, recovery from financial crisis, as well as investment in agriculture for food security and bio fuel improvement to address climate change. Currently there are 17 standalone land administration projects all around the world, while there is planning for more, and 30 more development projects that also include a land component which require adjudication and recording of private property rights. The World Bank is also doing specific development research in 20 more countries and provides advisory services to others (Adlington, 2011; 2015). 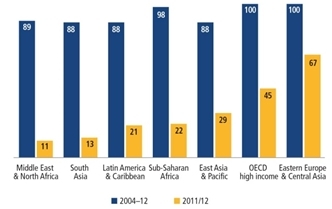 Figure 1 shows the total land tenure projects (top) and the standalone land administration projects during the 1990s-2000s period (bottom), financed by the World Bank. According to World Bank data, in the ECA region the reform related to land and properties’ denationalization and privatization has been the greatest in history. It included 30 countries, US$1.1 billion in loans and grants and has affected a population of about 900 million and a land area of approximately 27.4 km2. For about 300 million properties documentation was checked or new documents were produced, properties were surveyed and ownership rights were registered mostly in automated registration and cadastre systems. Much of this land was given “free of charge” or at “low cost”, a policy which promoted the economic transformation of the region. The establishment of property registration systems in this region has allowed the introduction of these assets into the national economies and increased transactions and mortgages considerably. The pace of this economic change is accelerating and this will continue in future. This region also had the largest share in economies reforming business regulation in 2011/12 (Figure 2) according to the World Bank Doing Business 2013 report, as many countries now aim to narrow the gap in regulatory efficiency with the established EU members and others are engaged in EU accession negotiations (World Bank, 2013). This shows that many countries have already made remarkable economic progress; these encouraging results provide optimism for surveyors as well as citizens of other developing regions that still suffer from inadequate security of tenure, incomplete property registration and increased poverty rates. Surveyors have the skills and the expertise in issues like the adjudication of right holders and registration and recording procedures; property valuation; land use planning and permitting, etc., in order to facilitate this change. But they also have the vision and the determination to actually make this change happen. FAO, the global UN food and agriculture organization, recognizing the need gave strategic priority to the security of tenure for the necessary reforms in order to manage all the above mentioned mega-topics such as the population growth and especially the need for food security, but also urbanization, environmental change and climate change, and so on. In recent years FAO has been dedicated to the compilation of global Voluntary Guidelines on the responsible Governance of Tenure (VGGT) (Figure 3). Following the compilation of the guidelines and its endorsement by Committee on World Food Security (CFS) in May 2012, there has been global enthusiasm and support by the G8, G20, Rio+20, the Francophone Parliamentary Assembly, the UN General Assemblies and the Berlin Agriculture Ministers’ Summits, as well as significant private sector recognition, to proceed quickly with its implementation by all countries. This is an intense and challenging activity dealing with extremely sensitive and political issues such as security of tenure and addressing corruption and land grabbing all over the world (FAO, 2012). The VGGT implementation phase began in 2012 in two pillars, first by focusing on raising global awareness through 10 regional conferences, and secondly by organizing national focused workshops; the second phase was initiated in 2013. National workshops are organized in two rounds, aiming to create a national platform for (a) investigating the national policy relevance to the VGGT, and (b) providing concrete proposals for change and harmonization. The national platform requires the establishment of a group of stakeholders such as government agencies, civil society, private sector and academia. FAO started the implementation process by giving priority to 13 African countries (in cooperation with AU, the UNECA, the AfDB, the EU, etc), 5 Asian countries including China, and Latin American countries. In parallel, European countries also proceed with further VGGT implementation and continuous monitoring. In this initiative FAO cooperates closely with its partners such as UNECA, the Global Donor Working Group on Land, FIAN, CSM, IFAD, the World Bank, the International Union of Notaries UINL, and FIG. FIG has strongly supported all phases beginning with consultation and compilation, and proceeding with the endorsement and implementation of VGGT, through the organization of workshops and the provision of technical support and capacity development materials. Within the goals of the Post-2015 Global sustainable development agenda is the objective that by 2030, countries should ensure that all men and women, in particular the poor and the vulnerable, have equal rights to economic resources, as well as access to basic services, ownership and control over land and other forms of property, inheritance, natural resources, appropriate new technology and financial services, including microfinance. Countries should also double the agricultural productivity and incomes of small-scale food producers, in particular women, indigenous peoples, family farmers, pastoralists and fishers, including through secure and equal access to land. They should also undertake reforms in terms of improving access to ownership and control over land and other forms of property, financial services, inheritance and natural resources (UN Open Working Group, 2014). Therefore the question of monitoring the implementation of the VGGT in its global context is the most challenging task. FAO has developed formal monitoring performance procedures within its strategic framework and innovative tools such as the Land Governance Assessment Frameworks (LGAF) that is performing detailed testing of the progress of implementation of the VGGT by the countries (Munro-Faure, 2015). Currently there are about 43 LGAF monitoring studies in process; of them 24 are completed, 13 are ongoing, and 6 are prospective (Bourguignon et al., 2015). Economic changes are followed by rapid urbanization. Urbanization can be viewed as an indicator of development (Potsiou et al., 2010). Concentration of the most dynamic economic activities in urban areas often produces economies of scale and leads to social and economic benefits; urbanization is a major change that takes place globally. It is also a matter of human rights that people are free to choose where they will live and work. People move to the cities in seek of job opportunities and of better futures. For the first time in human history more than half the global population live in urban areas; it is expected that this will increase into 70% by 2050; already China is 51% urbanized. By example Shanghai’s population has almost doubled (Figure 4) in a decade from less than 13 million residents in 2000 to about 23 million today and is expected to reach 50 million by 2050. In the cities of the developing world urban population grows at a rate of 5 million new comers every month. At the same time there is a growing global housing gap; it is roughly estimated that about 863 million people live in urban slums and informal settlements (UN-HABITAT, 2012). There is huge urban sprawl toward agricultural lands thus increasing the risk of food scarcity. Many poor people live in unplanned areas with flooding risk, drought and other disaster risks (Davis, 2006), in the periphery of many mega cities in seek of low-paid job opportunities thus supporting the economy and competitiveness of those cities in the developing world. Management of such viable urban areas requires not only technical skill but also expertise in social, economic and environmental aspects. Land tools that are applicable in the developed world are not efficient in providing pragmatic solutions in these areas, as in most cases are time and cost consuming in general. Surveyors should go beyond their borders; communicate and cooperate with experts outside the surveying community in order to achieve best results. However, lack of affordable housing is a global issue today. Experts and governments of the developed world already refer to the confluence of problems related to the unaffordability of housing; this is a reality in all countries of the world. It causes shrinkage of labor force and discourages lower-paid workers such as waiters, retail clerks, bus drivers, but even teachers and college professors to accept job offers in certain regions thus threatening the competitiveness of some of the world’s most developed cities; business, too, choose not to locate in areas where there is no affordable housing for their workers. Even those who can afford to live in these areas feel uncomfortably knowing that nurses, firefighters and police officers they rely upon are living one or two towns away, and public administrators have concerns about losing the entire middle class; they worry because they know that many of the social ills that generate costs for jails, courts, police and family services arise in the absence of quality affordable housing (Cisneros et al., 2007). In 2001, FIG established a Task Force on Property and Housing aiming to initiate the planning for affordable housing as an issue in the surveyors’ professional activity. The subject of housing is closely linked to economic development and to the provision of urban infrastructure. A country’s housing policy is connected to its basic infrastructure development policy, such as provision of land for urban development and provision of utility services. But the condition of a country’s housing is also related to its general land policy, such as the legal framework on security of tenure and private ownership rights on land, land use regulation and its spatial planning framework, the planning and construction permitting system, and the real property valuation and taxation framework. There is a continuously growing need for increased public funds and administrative capacity to provide this necessary urban infrastructure and also to recognize, and respond to, affordability issues. Informal settlements, informal land and informal property markets, informal development in general, rarely have access to capital (de Soto, 2000). At the Athens FIG kickoff event in 2015, it was wisely and clearly demonstrated as a global principle concept that “almost every country of the world will never have enough public funds to efficiently address the adequate housing issue for all, without the private sector participation” (Retsinas, 2015). By 2030, countries should ensure access for all to adequate, safe and affordable housing and basic services and should upgrade slums (UN Open Working Group, 2014). Surveyors should develop their knowledge and skills toward this field in order to provide sound land tools considering the important role of the private sector. Apart from securing land tenure, provisions for property titling and, establishing property registration systems, good governance also requires transparency and a new partnership between the state and the civil society (Magel, 2011). Economic process also requires changes in the role of the state from being a provider of growth to becoming an enabler of growth. The private sector should become the engine of the state, responding to appropriate and transparent regulations and clear competition rules. Although there has been a global recognition that a stable and transparent framework, within which transactions take place, is essential for each country’s national economy, various countries have followed various transition strategies with varying ideas about the role of the state. Therefore, varying models of privatization with sometimes conflicting, complex and unclear policies in terms of private sector involvement, have resulted in uncertain property markets in terms of liability and risk. Property markets today vary in a number of forms. Some are formal but some still have a great rate of informality or are still unstructured. The terminology used by economists varies from “developed markets”, where openness to foreign ownership, ease of capital movement, and efficiency of market institutions are guaranteed, to “emerging markets” with the potential of future development, or on their past status; and “frontier markets” that exist mainly in countries with slower economies, usually those with economies in transition. Actually, frontier markets are the markets where relationships matter more than rules; they are markets that are bedeviled by unclear property rights and mainly unclear land use regulations. The lack of private sector involvement is the principle cause for governments’ failure to establish coherent economic development strategies (Retsinas, 2015). Hernando de Soto’s theory (de Soto, 2000) proposes that housing is important not only as a shelter to protect man against elements but over time it has became more important as it affects peoples’ welfare; it can be a tool to create wealth when used as collateral. It has been shown that clearly defined properties, property rights and responsibilities, as well as access to services, opens doors to private foreign investment and has a direct effect on lending practices and national economies. Unclear property rights and complex land use regulations, as well as a lack of policies for the provision of adequate affordable housing, have in many economies in transition caused uncertainty, an impediment to foreign investment, high formal housing prices and finally the creation of informal settlements and self made cities where the majority of real estate is outside the economic cycle and represents a large amount of dead capital (Tsenkova et al., 2009). The continuing massive influx of populations to the cities, combined with the usual state’s inefficiency to respond in time, will be accompanied by more informal development, creating ever more social unrest and “economic exclusion”. As de Soto recently pointed out, economic hope, empowerment of the poor, reforms that create an unstoppable constituency for rising living standards and government leaderships that build, streamline and fortify the laws and structures that let economy flourish, is the only way to win the battle for global peace and social stability (de Soto, 2014). In most frontier economies there is a need for an institutional mechanism for linking together planning and land use regulations / restrictions, development permitting procedures, ownership rights, land values and property taxation with the operation of property markets; there is also an urgent need to ensure continuity and consistency in the national government policies and strategies (Onsrud et al., 2015). Property market and consistent land policies in support of economic development is an important issue and surveyors should be actively engaged, in order to identify and eliminate the barriers that are within the surveyors’ area of expertise (Nystrom et al., 2015). Based on that theory, geospatial cadastral information has become important as it has changed the perception of how governments seek growth. It is estimated that only 30 to 50 countries of the world have implemented appropriate land administration systems, or will implement them soon (Molen, 2003). Although in many of the remaining 140-160 countries cadastral surveys are on-going not much progress is expected within the near future if we continue to use traditional methods. Since its earliest introduction it has been acknowledged that the real value of cadastre for a national economy will be realized by the time of its completion. It is similarly recognized that the real value of a global cadastre for the global economy will be realized when it is finished. Since most developing countries have less than 30 percent cadastral coverage (Augustinus, 2010), governments are now seeking innovative, fit-for-purpose ways to encourage universal parcel recordation for the remaining population as quickly as possible (Lemmen, 2015; Enemark 2015; Adlington, 2015; Roberge, 2015; Barry, 2015). In addition, since 2006 (Tsenkova et al., 2009; Potsiou, 2011), many governments initiate formalization projects to integrate informal settlements into formal property markets. However, it is identified that by delaying formalization of informal development and issuing of clear property titles governments still create barriers to private investment (Potsiou, 2015); there is still an urgent need to investigate whether and how governments facilitate private sector investment. According to the experience of the World Bank, governments seek to develop reliable spatial data infrastructures that will provide updated authoritative information for their economies, society and the environment rather than just traditional cadastral systems (Adlington, 2015). The surveying profession is been called upon to serve these developments. Considering traditional mapping and the appearance of photogrammetry that rapidly changed the speed of mapping, and space technology and the rapid increase of information technology with the capacity of computers having been continuously doubled every 2 years (Keyes, 2006), together with smart phones and mobile GIS, the tools and methods surveyors use have always been dominated by technological change. The rapid improvement in information technology has been dramatically enhanced by digital electronics in nearly every segment of the world’s economy (Rauch, 2001; Jorgenson et al., 2014) allowing for big data management and distribution. The current rise of UAVs with cameras (and with laser scanners) to capture images that can be processed into point clouds or orthoimages, accompanied by advanced software to process the images and render them into beautiful 3D scenes and accurate point clouds is revolutionary. Developments in point cloud processing are also moving quickly. High resolution orthophotos and 2D site maps, at multiple zoom levels, 3D (point cloud or textured surface) maps that can be navigated online; 2D (distance, length, and area) and 3D (volume) measurements; change detection over time using change-detection heatmaps and automatic feature extraction such as vehicle counts are some of their products. Other current technical developments in photogrammetry include airborne Lidar; advanced aerial multi-camera systems able to capture oblique and nadir imagery at the same time, that allow a full and high resolution view of both building footprints and facades which is a great benefit when creating 3D city models; and dense image matching that allows point densities similar to the ground sampling distance of the imagery from which they are derived. These are all very promising developments that will enhance the production and updating of maps. Current technical trends in our profession include modernization of software to be more ‘app-like’, ‘all-in-one’ smart solutions, that make the entire process ‘from sensor to information’ as simple as possible (Figure 5, top). Interconnectivity of total stations, GNSS, mobile devices, etc, is the modern trend. Until 1986, the average age of existing maps worldwide varied from 20 to 50 years depending on the scale. At that time only 33.5% of the world was mapped at a scale of 1:25,000 and only about 65.6% at a scale of 1:50,000. Recent statistics (of 2012) show that globally the availability of mapping at 1:50,000 is high (Figure 5, bottom), with the updating rates in some regions still remaining very slow; there is inequality in the availability of large scale maps (Konecny, 2013). There is a global need for fast and updated large scale mapping; efficient procedures are needed especially to deal with natural and/or manmade hazards. Currently in the management of large disasters of the world information provided by volunteers, citizens, or part-time workers, through their mobile phones is also used for the quick production of updated maps (Hakley et al., 2014). HHowever, in developing professional emergency mapping using modern technology, the experience from China is impressive. In 2013, following a strong earthquake high resolution images were acquired, using UAVs, within 7 hours, and the geoinformation platform was prepared within 16 hours providing efficient disaster control and post-disaster reconstruction. China has established a nationwide emergency mapping platform enabling the production of special thematic maps within 2 hours following each event using a UAV system for mobile emergency mapping, 31 national aerial emergency bases, and online services for the government. China also puts an emphasis on improving surveying education by having established 138 colleges with 8000 graduates annually with employment rates of 85%, another 22 colleges for remote sensing and 98 more colleges for land resources management. An additional 287 schools for geomatics with 16,000 graduates annually are established in China to support urbanization, as well as other national and global activities (Cheng, 2015). The urbanization of the world’s population also requires massive development of public infrastructure that must be supported by interdisciplinary projects with the involvement of various professions, as well as all the disciplines of the surveying profession such as data acquisition and measurement, positioning and navigation, land administration, valuation, planning, coastal zone management and marine cadastre, etc, as well as construction management and quantity surveying to support municipal governments in their growth. There is an altogether new and increased interest in geosciences today due to this huge societal change. To serve the rising population, technology is transforming regular cities into smart cities. Cities will be connected and will interact with people freely, give people the opportunity to manage basic amenities in the most efficient manner, in an eco-friendly, and safe manner. The term “smart” or “digital” city is used broadly and demonstrates this need. There are several definitions for “smart city”. The concept of a smart city is not static, there is no absolute definition of a smart city, no end point, but rather a process, or series of steps, by which cities become more 'livable' and resilient and, hence, able to respond quickly to new challenges (British Government, Department for Business, Innovation and Skills). It is a developed urban area that creates sustainable economic development and high quality of life by excelling in multiple key areas: economy, mobility, environment, people, living, and government (http://www.businessdictionary.com/definition/smart-city.html). Since much of our future personal and professional activity will be within urban areas, rapid development and its resulting environmental issues become very important. 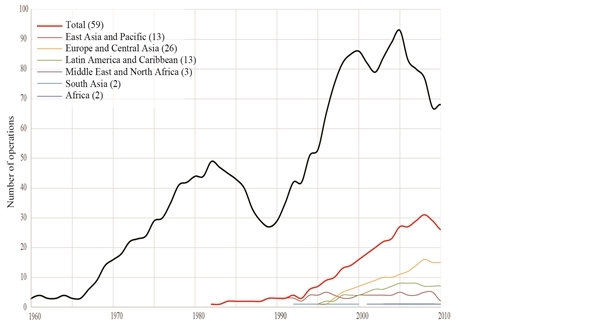 Much of the current urbanization activity is in Asia. The Asian Development Bank calculates that each day, across the Asian continent, there is a need for 20,000 new dwellings, 250 km of new roads, and the infrastructure to deliver an additional 6 million liters of potable water in the cities. The way Asian governments manage urbanization is crucial to the health and the well being of billions of people in that region but also worldwide; experience derived from Asia is of exceptional value for all regions. 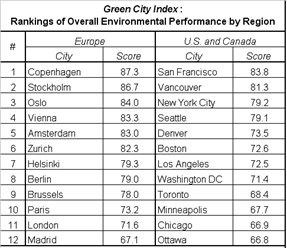 It is worth mentioning that environmental performance is directly related to the economic health of each city. Data derived from various reports show that cities from developed countries in Europe and North America generally outperform those from developing countries in Asia, Latin America and Africa. 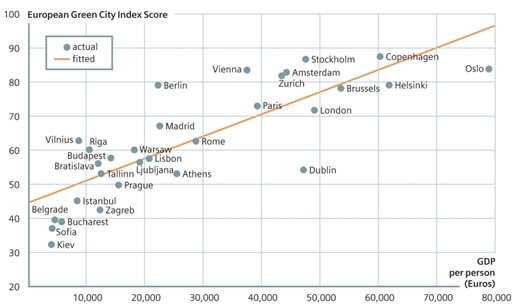 Richer cities in general are able to make necessary investments in urban infrastructure, and can afford to maintain a professional, experienced civil service to drive environmental initiatives (Table 1, Figure 6). Singapore, for example, is the most green among 22 other large Asian cities and is also the fourth richest city in the same list, with a GDP of US$36,500 per person. It can afford cutting-edge water recycling plants, waste-to-energy facilities and major investments in its transport system (Economist Intelligence Unit (EIU), 2011). Cities should develop a clear green strategy and efficient tools to quantify and measure performances in this respect. 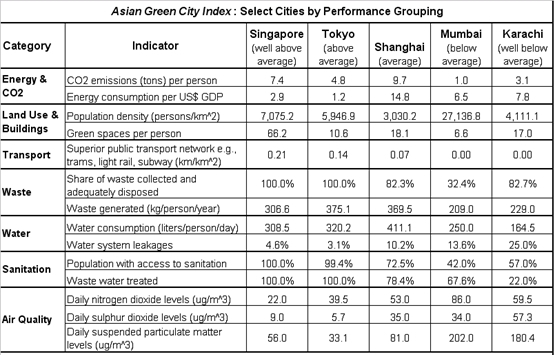 The eight environmental performance categories for the Asian Green City Index include: Energy & CO2, Land Use & Buildings, Transport, Waste, Water, Sanitation, Air Quality and Environmental Governance. Each category is comprised of one to three indicators of environmental performance. Table 2 shows the scores for one example city from each of the five levels of overall results shown in Table 1. Due to such increased complexity of the megacities, professionals in geoinformatics are expected to develop expertise and capacity building in reliable and reusable information provision (including information acquisition, processing, analysis, management, communication, visualization and animation), by developing for example DSMs/DTMs, GIS, UAV apps, mobile mapping services,3d/4d city models, smart “apps”, Building Information Modeling, measurement standards, installation of sensors in smart buildings and developing the Internet of Things, using sensors in web 2.0, mobile social sensing and a series of such applications for parking, traffic update, smart lighting, waste management, water monitoring, energy management, as well. With a global construction volume of US$7.2 trillion in 2010, which is expected to raise to US$12 trillion by 2020, quantity surveyors in particular play an important role within the construction industry providing a number of services such as cost planning and budgetary estimates of projects, Value engineering / Value Management, Risk Management and calculation, Bid Documentation, Commercial Management and Contract Administration, Dispute Resolution, Asset Capitalisation, Cost Control / Management process, Assessing the costs of design changes / variations, and so on. BIM is the tool to serve and enhance such activities. The use of BIM enhances team collaboration and understanding among various professionals as well as better information management, reduction of errors, and may achieve up to 40% elimination of unbudgeted change, up to 80% reduction in time taken to generate cost estimates and may achieve a cost estimation accuracy within 3%. Other benefits of BIM include savings of up to 10% of a contract value through clash detections and a reduction in project time up to 7%. 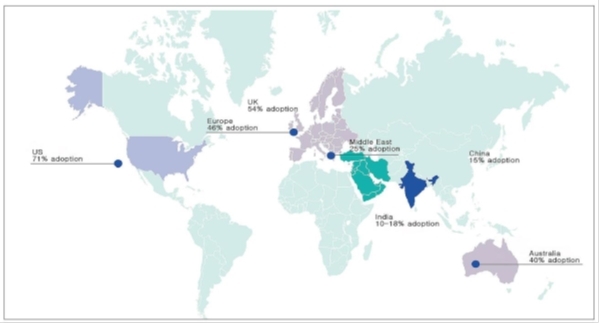 BIM has already been adopted in USA on more than 70% of projects, in Europe about 46%, in Middle East at 25%, Australia 40%, China 15% (Figure 7). There is a great desire by governments to adopt BIM in future and there is a great potential for future construction development in all regions, therefore there is an increasing need for the skills of quantity surveyors (Ong, 2015). It becomes obvious that in the urbanization and globalization era, a globalization of science is also taking place. Surveyors should be prepared to cooperate with several other disciplines and allied professions; in some cases there may be severe competition from neighboring disciplines, as well; this is a challenge surveyors need to face through development of their own skills. Surveyors should be prepared to deal with data inflation, to cope with large amount of information; they should also maintain in-depth technical research, better education, and cooperation with other professions. Through cooperation with other professionals surveyors will increase their skills in providing solution functionality, reliably, affordably (fit-for-purpose processes) for a complex and rapidly changing world - a dynamic world that cannot wait. While in some regions there is a scarcity for surveyors, in some other regions there maybe unemployment, too, due to the turbulent economic situations. It is also true that there is an increased global need for modern surveying skills and services, therefore surveyors should continuously redefine, improve, develop and promote their capacity and skills globally using all available means including social media (Valani, 2015). Professional associations and their role are changing, too; they are challenged by a rapidly changing technology. Individual surveyors need access to updated information about new developments in the profession in a rapid, low-cost process. Raising awareness and capacity development among members apart from participation to seminars, professional capacity development programs, and conferences may also be achieved today through new, low-cost tools, by supporting networks and partnering, by closer cooperation with the relevant international organizations and by supporting on-line communication among their members. Professional associations should communicate the FIG message that traditional tools and methods in surveying and mapping have actually changed. Although problems remain the same due to the technological developments there are no more single solutions to traditional problems; there are new ways to think about those problems and there is a new concept of privacy as well. Associations should support the use of mobile devices, apps, the development of open standards in all aspects and the new solutions provided by the industry that may support sustainable systems reliably, much easier and with significantly less costs (Jones, 2015). 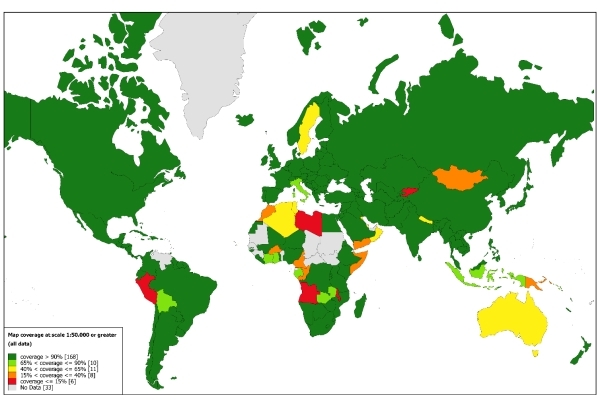 Regional and national professional associations should also cooperate closely with FIG to facilitate awareness among their members in the global issues, to create more “global” surveyors (McLaren, 2015; Vanderschueren, 2015), as well as to ensure arrangements in order to facilitate cooperation among the private sector to carry out cross boarder professional work; mutual, uniform recognition of surveyors’ qualifications within greater regions and experience sharing in this field may help significantly (Lelliott, 2015). It is therefore urgent for the surveying profession to be customer-oriented, to think ahead, to predict future changes, and to foresee the requirements of the next generation of the public and structure the way ahead. It is within the FIG goals to develop a prosperous and sustainable profession which will translate the post 2015 sustainable development agenda into action. There is a fast-growing civil demand and a changing culture for authoritative spatial information published on the web, a culture that changes the administrative concept. The question is how much change can governments afford? To satisfy such great demand the use of data derived from various providers may be supportive; there is a need for increasing capacity development in assessing the value of data derived through crowdsourcing (Doytscher, 2015). Authoritative data can be provided and assured by government agencies but also by crowdsourcing and the engagement of surveyors. Today mobile devices are accessible to more people, the cost of high resolution satellite imagery is coming down, and there is a renewed awareness of the importance of authoritative spatial data in all levels of government. Technology is addressing many past challenges of system cost, intermittent internet connectivity, and distributed service centers. 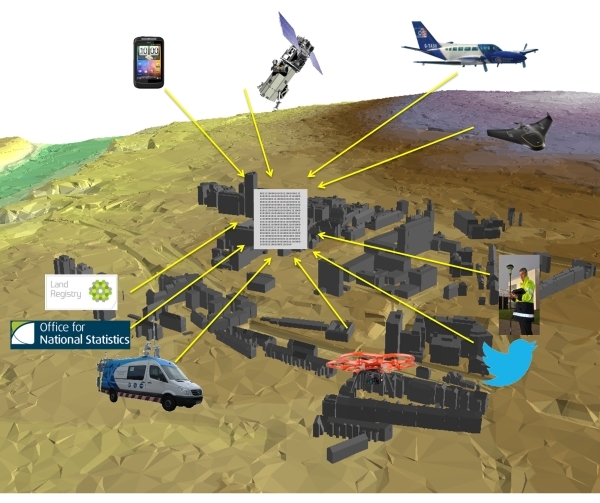 Spatial platform, security cloud mapping and app technologies can be used for collecting AAA information from crowdsourced models (Jones, 2015). Surveyors should integrate information derived from various venders, depending on the availability of tools, and develop increased information processing capabilities to deal with a dynamic world, dynamic society, dynamic markets, dynamic information, to see change positively, and provide the 70% of the world that has not yet developed good spatial data infrastructures, but also the other 30% of the world that needs to further improve the efficiency of its systems in order to address the current challenges, with surveyors’ “good, fast and cheap”, “fit-for-purpose” services and solutions (de Zeeuw, 2015). The relation between quality and cost has been significantly improved today by new technologies; we need to investigate and be aware of the achievements but also of the remaining challenges of new technologies and encourage further improvements (Staiger, 2015). At the FIG kick-off event we agreed on a vision. We also agreed on the major pillars of the FIG work plan 2015-2018. FIG will continue to provide a global forum for discussion, communication and exchange of experiences and new professional developments between members and individual professionals in the broad areas of surveying and mapping, spatial information management, and the management of land, the sea and the built environment through its work plan. This relates to FIG annual conferences, regional conferences, the work of the ten commissions (ACCO) within their working groups and commission seminars and the work of the Task Forces (TFs) the FIG Networks and the Permanent Institutions FIG Foundation will continue its excellent contribution to supporting capacity development and research in areas most in need (Hohol, 2015). FIG contribution to the global sustainable development agenda will focus on three pillars: (a) providing fit-for-purpose solutions for security of tenure land administration, (b) providing support on property markets assessment and improvement and (c) providing technical support in developing technical specifications on the above topics. In this effort FIG will continue to strengthen cooperation and to build partnerships with the relevant international organizations and regional professional bodies. The council will ensure that this global forum offers opportunities for all aspects of surveying practice, its various disciplines and the total range of its professional areas. The council will also ensure that the performance according to the agreed work plan will be monitored and supported by the responsible council members. The council will work closely with the FIG family to agree upon the deliverables and upon key performance indicators (McLaren, 2015) for monitoring the performance during the next 4 years and will report annually. Adlington, G., 2011. The Rice or Fall of the Cadastre Empire. Proc. of International FIG Simposium & Commission 7 Annual Meeting on “Cadastre 2.0”, Innsbruck, Austria. pp. 21-28. Dale, P., 2005. Land Administration in the UNECE region – Development trends and main principles. United Nations edition. New York and Geneva, p. 104. Enemark, S., 2015. Land Administration and human rights, the role of land professionals in support of the global agenda. Proc. of Annual World Bank Conference on “Land and Poverty”, FIG side event, Washington DC, USA (to be published in the FIG website). Haklay, M.E., Antoniou, V., Basiouka, S., Soden, R., Mooney, P, 2014. Crowdsourced Geographic Information Use in Government. Global Facility for Disaster Reduction & Recovery (GFDRR), World Bank: London, UK. Jorgenson, W., Ho, M.S., Samuels, J.D., 2014. Long-term Estimates of U.S. Productivity and Growth. Proc. of World KLEMS Conference. Keyes, R.W., 2006. The Impact of Moore's Law. Solid-State Circuits Society Newsletter, IEEE, vol. 11(5), pp. 25-27. Konecny, G. 2015. The Status of Topographic Mapping. Proc. of Interexpo GEO-Siberia-2015, Novosibirsk (to be published). Lemmen, C., 2015. A New Era in Land Administration. Proc. of Annual World Bank Conference on “Land and Poverty”, FIG side event, Washington DC, USA (to be published in the FIG website). Nystrom, S., Potsiou, C., 2015. Quantifying the effects of Land Policy on National Economies. Proc. of Annual World Bank Conference on “Land and Poverty”, FIG side event, Washington DC, USA (to be published in the FIG website). Potsiou, C., 2014. Ensuring the Rapid Response to Change, Ensuring the Surveyor of Tomorrow. Proc. of FIG Commission 3 Workshop & Annual Meeting, Bologna, Italy. Roberge, D., 2015. Need for a core cadastral system-Develop once and make available for all. Proc. of Annual World Bank Conference on “Land and Poverty”, FIG side event, Washington DC, USA (to be published in the FIG website). de Soto, H., 2000. The Mystery of Capital: Why Capitalism Triumphs in the West and Fails Everywhere Else. Basic Books, ISBN 0-465-01614-6. UN-HABITAT, 2012. State of the World’s Cities 2012/2013 - Prosperity of cities. UN-HABITAT publication, Nairobi, Kenya.